Last weekend, the Play4Agile 2012 took place at Seminarzentrum Rückersbach, a beautiful venue near Frankfurt. Our theme this year was ‘High Playformance for Agile Teams’ and as the first Play4Agile in 2011 it was a great success again. The event is reinvented itself and that makes the unique power – quote of Christine Neidhardt. On the 2nd day of the Open Space event, Jenny Jepsen, Martin Heider and I did the session ‘Discover your inner Planet‘. The idea was to run a session with a technique from CoActive® Coaching combined with StrategicPlay® powered by LEGO® SeriousPlay™. Jenny, Martin and I are all StrategicPlay® Facilitators. Moreover, Martin and I are currently doing our vocational training for becoming a CoActive® Coach. We designed the session during a lunch break and ran it in the afternoon with 20 participants. We started the session with skills building exercises. 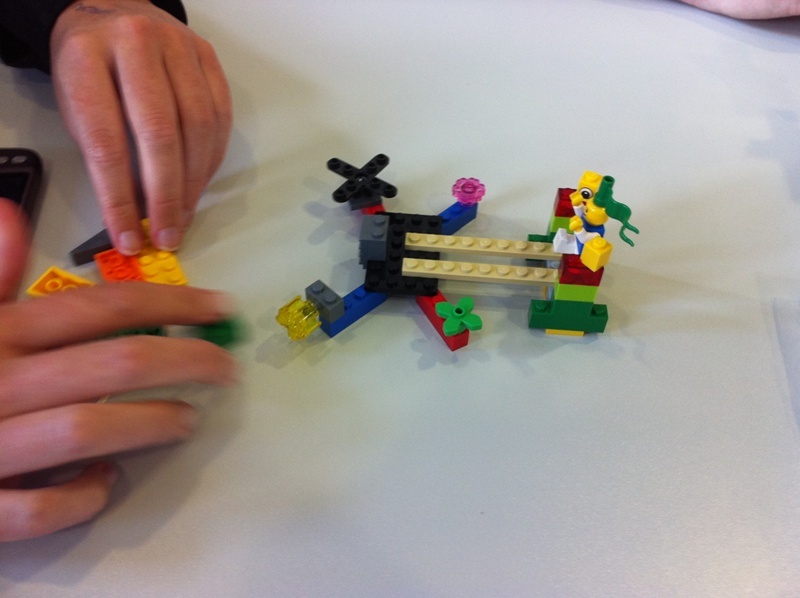 Skills building are exercises for becoming familiar with LEGO® and reaching a metaphorical flow. First, participants were asked to build a tower, share what’s special about their tower with all other participants, the storytelling, and then adapt the tower to an agile tower. Again, participants had to share what makes their tower agile with all other participants. To reach the next metaphorical level, we then asked the participants to build a model which describes they’re passion about attending the Play4Agile Unconference. 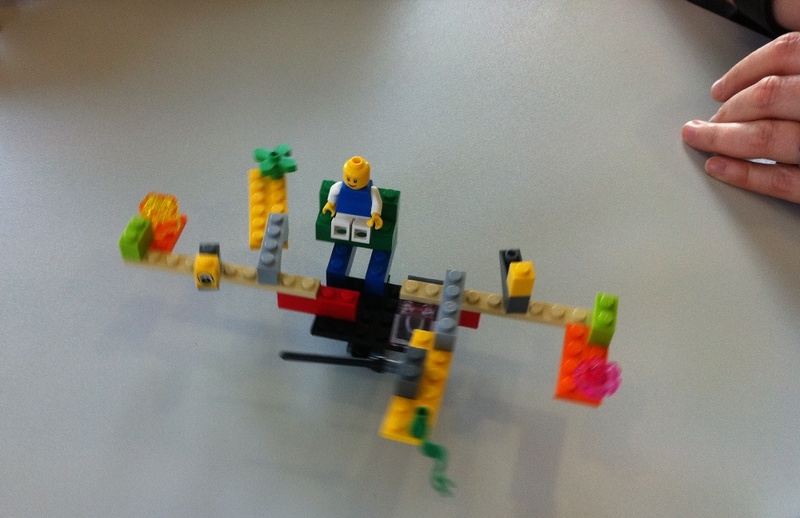 These two pictures are models which were built by participants, showing their passion for attending the Play4Agile Unconference 2012. Again, each participant had to share their model through storytelling. 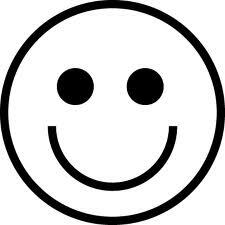 Now, everybody was in the right mood and flow to start their journey to their inner planet. This journey is a mental one and a technique from CoActive® Coaching, which is used as a tool for discovering individual fulfillment. We asked all participants to close their eyes and relax. We turned on some chilling out music and started the mental journey to the inner planet by telling an inspiring and visionary story for the mental journey. This took about 5 minutes. At the end of this mental journey, we asked the participants ‘how does it feel to live on your inner planet’, open your eyes and build a model which describes this feeling. You may ask youself now, hm, how can you build a feeling with LEGO® bricks. Indeed, this is challenging. But if you once have the chance to attend a StrategicPlay® session, you’ll discover how this works and I’m pretty sure you will be surprised and amazed! This model was a rotating one, turning on it’s own axis! When I was a child, I was addicted to playing with LEGO®. It wasn’t unusual for me to wake up at 4-5 o’clock in the morning, even before going to the kindergarten or later to school, dump my tons of LEGO® in my whole playroom and start building models, spacecrafts, airplanes, fantasy buildings – whatever came to my mind. This didn’t change until I get my first computer – at the age of 11! I sold all my LEGO® for next to nothing at a flea market when I was 12 years old and never was sorry about that until nearly 2 and a half years ago. At that time, I had a walk through the city of Cologne and discovered a LEGO® store. I stopped gazing at the showcase and was totally fascinated to see Star Wars models built with LEGO®. I just had to enter the store and at that moment my mind changed immediately into the mindset of a young boy. I walked through the store and was looking at all the bricks with the eyes of a 10-year-old. Incredible! After this event I found myself more often in the toy department when I went shopping. And even more often, I bought LEGO® bricks or sets instead of buying food. One year ago a key event happened. As I have been an Agile Project Manager and Certified ScrumMaster for about 3 years now, I was participating in an agile training in my company in spring last year as we are currently working on an agile transition to change the way we work. We had a three-day training on agile principles and methods with external coaches. 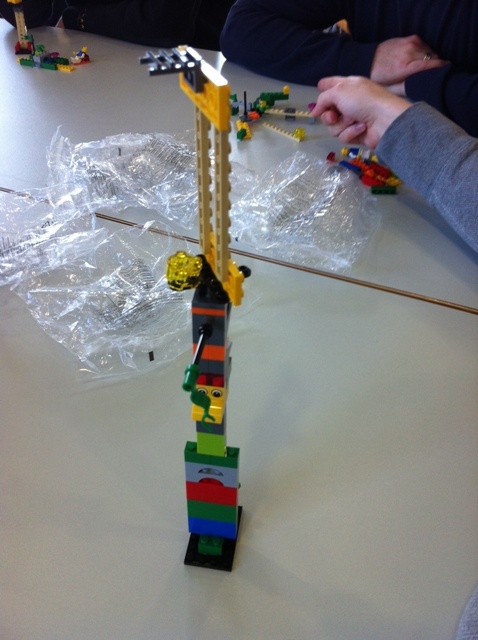 On the second day there was an agenda topic which was strangely called hands-on solutions with LEGO®. I was delighted by the prospect of playing with LEGO® but had no idea which serious background this might be. 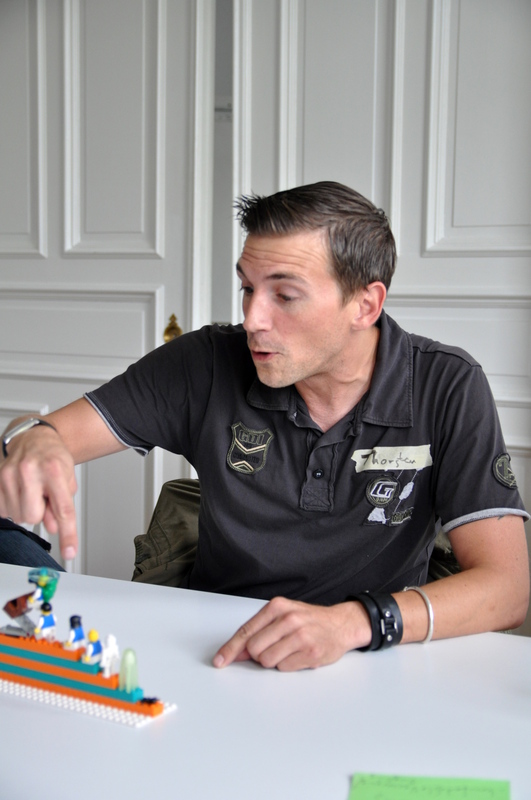 Olaf Lewitz, a StrategicPlay® Facilitator, did a workshop based on LEGO® SERIOUS PLAY™ (LSP). In the beginning Olaf explained that LSP is a methodology for exploring and dealing with real opportunities and issues in real time and that it’s a process for groups and teams for thinking, communicating and problem solving. Amazing! We had an interesting session with lots of fun in team building with StrategicPlay®. What a great experience. 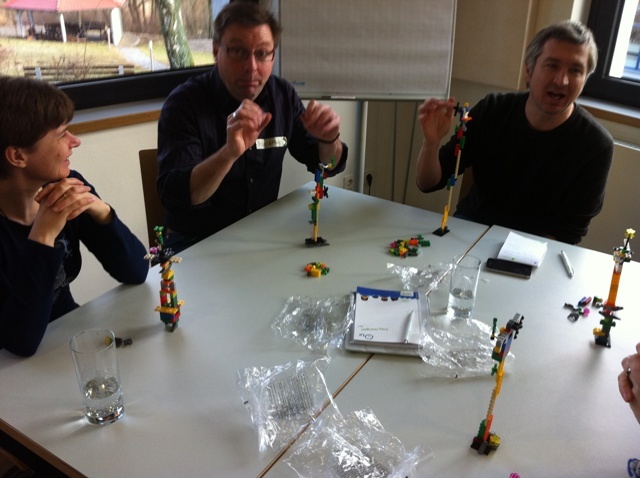 We used LEGO® for getting insights we never would reach by a simple discussion. My brain starts sprinting by these exercises. Awesome! After this three-day training on agile principles which I helped organizing, Deborah Preuss, one of our agile coaches, asked me if I would be interested to help organizing a conference for agile games. I was delighted that she asked me and as I love to play serious games it was a pleasure for me, even if I did not know how such a conference could look like. Some weeks later I was invited to participate in a two day planning workshop for that conference. I arrived at a Friday morning in Hamburg and was a little bit late. When I entered the office where all the organizers for that conference met, I started to realize where I was: It was the office of Jens Hoffmann from Hoffmann Consulting and his wife Katrin Elster from StrategicPlay®. They share a big office. Was that real? I was at the heart of StrategicPlay®, the heartbeat of LEGO® SERIOUS PLAY™? 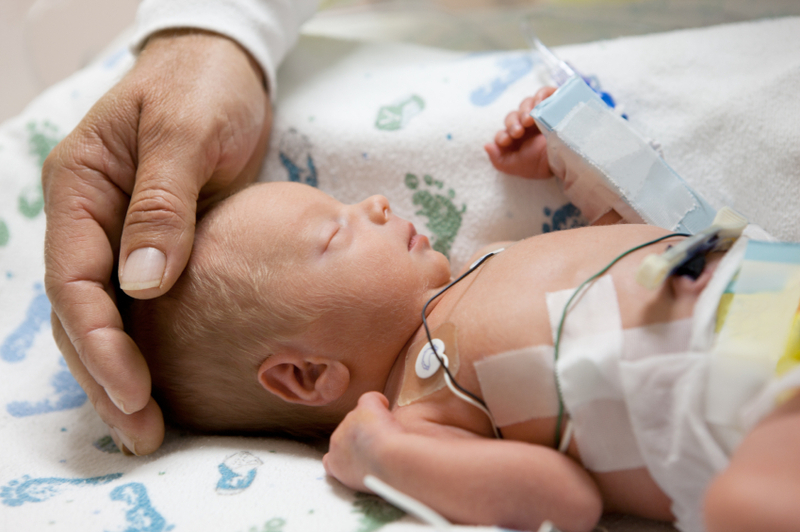 I was overwhelmed and daunted in once and a little bit nervous. There were 10 people sitting around a large table and I took a seat too. This was the beginning of two days full of creativity, inspiration, energy and pure passion. Katrin, Mrs. StrategicPlay®, facilitated the planning workshop as a large StrategicPlay® session based on LEGO® SERIOUS PLAY™. It was incredible; we created the vision for the unconference for games for agile teams. Katrin did an amazing job. 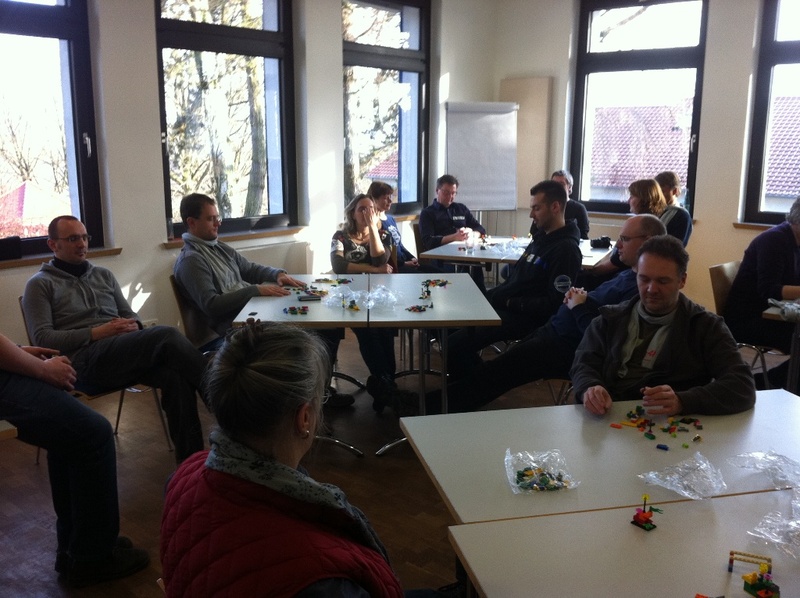 After some warm up exercises with LEGO®, everybody started to build his own vision for this unconference. Afterwards we all build a shared model together where all individual relevant vision parts were put together to one common and broader vision. The Play4Agile was born! We all had a great weekend in Hamburg and at this point I’d like to thank all participants for this experience which was unique for me. Thanks to Katrin Elster, Christine Neidhardt, Deborah Preuss, Ilja Preuß, Jens Hoffmann, Olaf Lewitz, Martin Heider, Jens Korte, Heiko Stapf and Andreas Thier. From the start of these two days I felt like arriving at home!!! Some weeks after this impressive experience, Olaf facilitated a second, more extensive session with LSP in our R&D Site in Trier at my employer. Topic: ‘How to build a framework fit for feature teams’. And the outcome was one more time absolutely incredible! All critical voices from the beginning, ‘we don’t want to play LEGO®, we need to work on our issues’ went silent. Out of this second session we extracted guiding principles we’re still following. 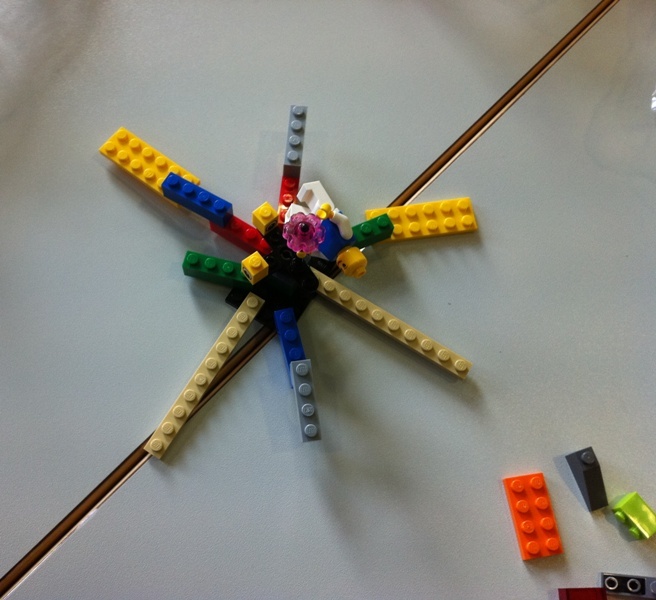 My third session with LEGO® convinced me that I had to learn these StrategicPlay® Facilitator skills because it is such a great tool for gaining insights about oneself, impacts you’re struggling with and how to solve them. It creates a valuable outcome which no human brain is able to obtain by discussing, brainstorming or even just thinking about. You design strategies you should concentrate on for reaching a special goal. And most of all – it seemed that this tool was especially created for me! Thus it was unavoidable that I participated in the StrategicPlay® Facilitator training by Katrin Elster and learned how to use this fascinating tool in a serious way. Last week I received my Certificate as a StrategicPlay® Facilitator and I’m looking forward to create my first workshop on my own to help teams and organizations to focus on realizing goals by using creativity. In addition, at the last weekend the Play4Agile (#p4a11) unconference for Games for Agile Teams, which we started planning last year in Hamburg based on StrategicPlay® took place in lovely Rückersbach, near Frankfurt. It was a great success, participants loved it and I see so much overwhelming comments on Twitter about #p4a11. Great! Today, three days after this unconference, I’m still totally energized by this happening, meeting friends, new friends and most of all we are all loving Serious Games and also some silly games which were just fun. 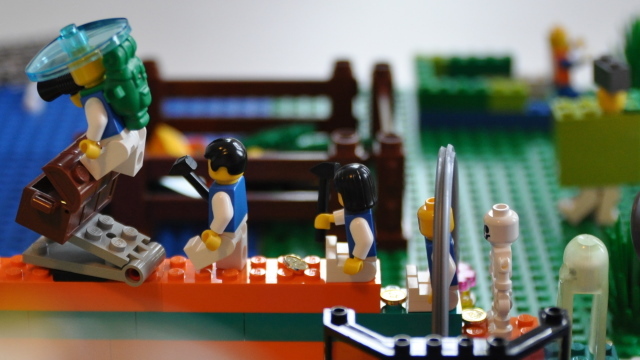 Yes, Serious Play rocks and I’m looking forward to facilitate my first workshop with LEGO®! Huuuuuuaaaahhhhh!!!!!!!!!! !